New plate that I forgot to photograph the other day. I’m very pleased with it. I hope the recipients are too. 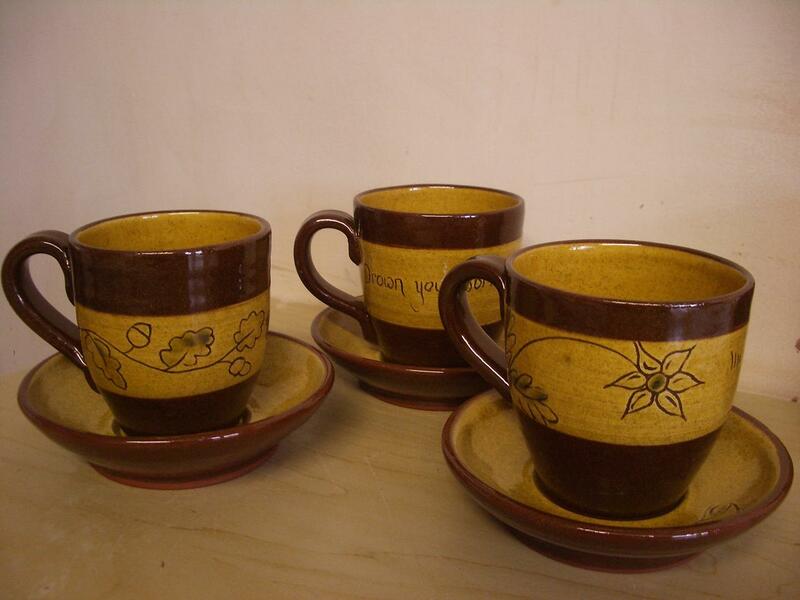 The cups and saucers based on the Cumnock pottery. They are very sweet, pleased with them. Short and sweet post today, off to Barcaple tomorrow with my Cubs and Cubs from all over Galloway. It’s an outdoor centre so I hope the weather is good, more for us leaders who will be standing watching rather than for the kids who of course won’t notice a thing. 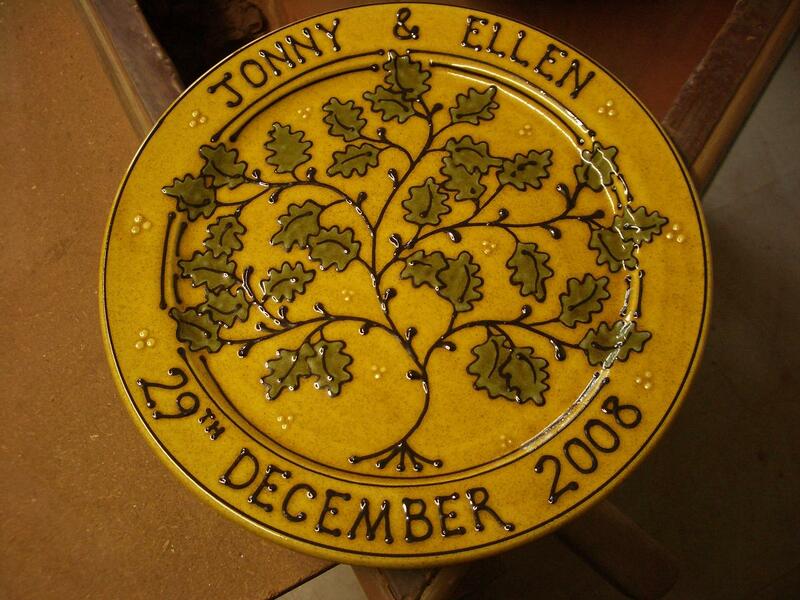 This entry was posted in Cumnock Pottery, oak tree. Bookmark the permalink. hannah, it’s been fun to read your blog. I’m a newer potter and learning much from all the blogs. How do you get such a clean, straight line between the slip and clay on those cups? lovely little cups and saucers H..
Hi Amy, the slip on the insides was pured in, swirled round to the edge and poured out with the excess sponged off. The slip on the outsides was brushed on with the pot on a banding wheel.Hope that helps.